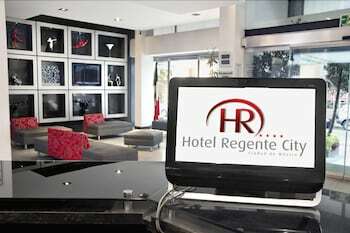 Located in Mexico City (Reforma), Regente Hotel is within a 10-minute walk of Cuauhtemoc Monument and Monument to the Revolution. Featured amenities include a business center, limo/town car service, and complimentary newspapers in the lobby. Planning an event in Mexico City? This hotel has facilities measuring 172 square feet (16 square meters), including a meeting room. Free valet parking is available onsite. With a stay at Hotel Delfin in Playa del Carmen (Centro), you'll be steps from Quinta Avenida and Playa del Carmen Main Beach.